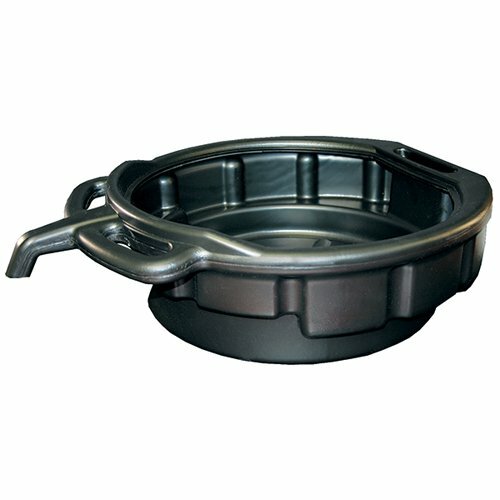 This black 4-1/2 gallon drain pan features a large spout for easy pouring. The molded handle makes carrying, pouring and storing extremely easy. It's anti-splash lip helps prevent spilling when carrying or pouring. This drain pan is 6 inch deep and has a 15.25 inch diameter. 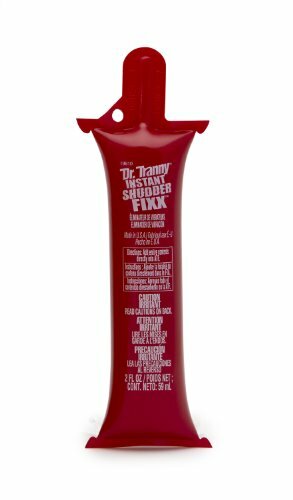 Instant Shudder Fixx Friction Modifier is the number one transmission instant shudder eliminator used by more professional transmission technicians. 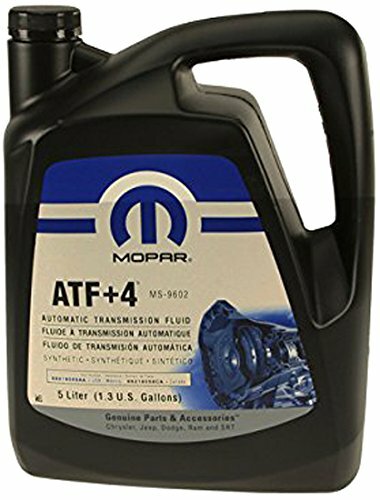 This is a five time concentrated friction modifier formulated specifically for eliminating transmission shudder problems instantly. 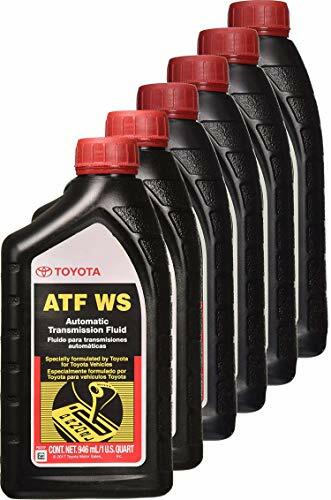 In order to use it, the contents should be emptied directly into the ATF (automatic transmission fluid) via Filter Tube and then drive normally. The results will be immediate. instant shudder fixx is compatible with all conventional or synthetic automatic transmission fluids. It is for the best overall performance and long term transmission benefit. The Lubegard automatic transmission protectant is recommended to be used as well for long term benefit (Part Number, 60902. It is sold separately). 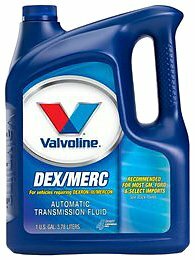 Valvoline DEX/MERC ATF is formulated with premium base stocks and advanced additive technology to meet the challenging demands of an automatice transmission environment. 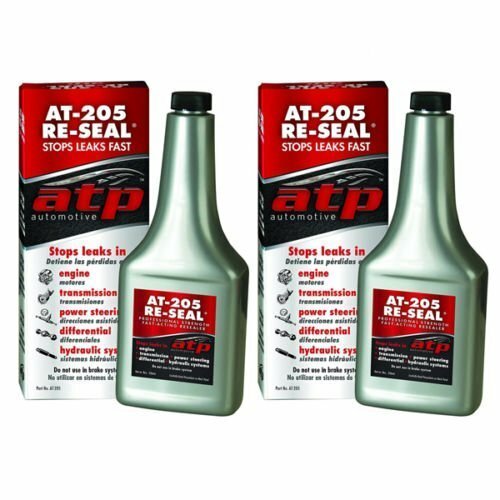 Stops slip, hesitation and rough shifting in worn transmissions and completely eliminates most seal leaks. 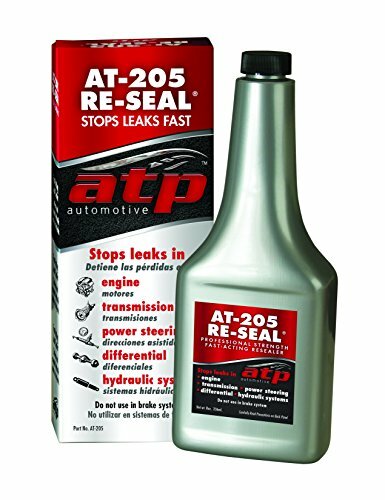 Use in any transmission for preventative maintenance.Use also in light duty manual transmissions to increase shifting ease and transmission life. 12 per case. So the time came for Slippery Pete to change the gearbox Oil in his 2002 4x4 truck. Over the years its taken a beating, but he's not ready to give up on it just yet. The odometer just hit 150,000 miles, and he's shootin for 200,000! As all DIY mechanics know, the fill hole for a gearbox is not easy to get to, so Slippery Pete brought his FLUID TRANSFER PUMP for GALLON BOTTLES to the rescue. This made the job sooooo much easier. Pumps 1 FULL OUNCE (30cc) per pump stroke. Pumps an entire quart in 32 strokes!! 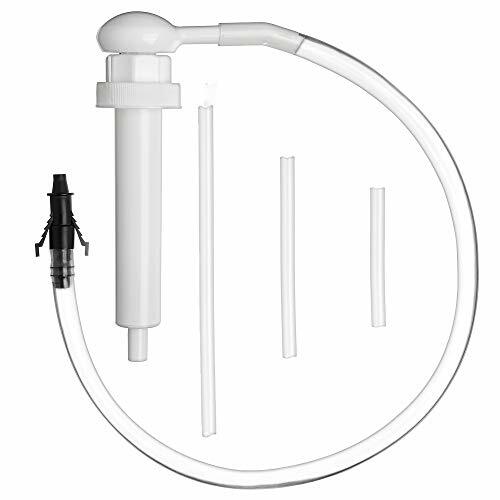 24 FLEXIBLE CLEAR FILL TUBE allows you to direct fluid into tight and awkward places.7 SUCTION TUBE THAT EXTENDS TO BOTTOM OF GALLON CONTAINER. 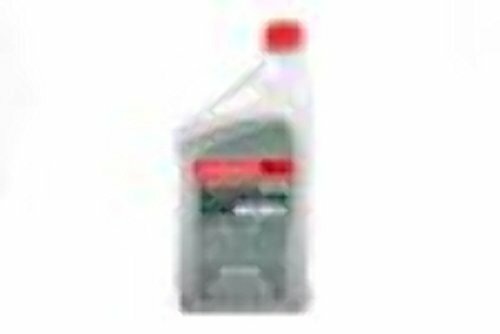  Will also fit Castrol Edge WIDE MOUTH QUART BOTTLES. 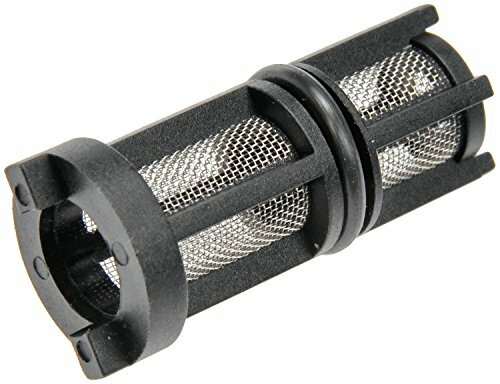 Use one of the 3 sizes of thread adapters provided to FIT WIDE MOUTH QUART BOTTLES !!! 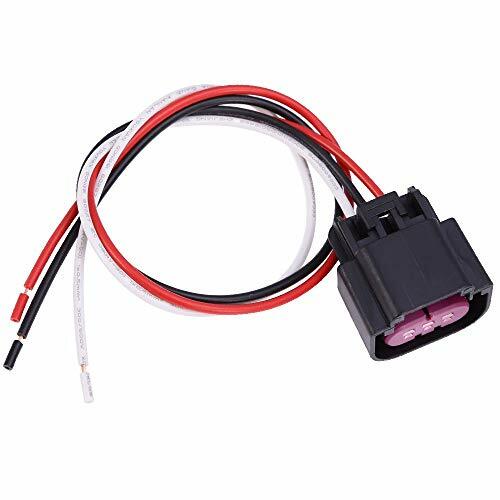 The Engine Oil Pressure Sensor filter is designed to filter debris and other harmful containments from entering the vehicle's engine oil. For an extended service life, Dorman's oil pressure filter is quality tested and ensures an exact fit every time. 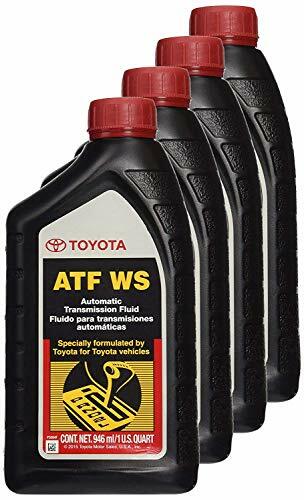 This product is an approved automatic transmission fluid for all vehicles factory filled with ATF+4. Check dipstick for fluid identification. It also is a "fill for life" quality fluid. NOTE: Due to regulations and restrictions of the item's volume exceeding 1 gallon or more, the item cannot be shipped to the state of California. WARNING: This product can expose you to chemicals which is [are] known to the State of California to cause cancer and birth defects or other reproductive harm. For more information go to www.P65Warnings.ca.gov. The Thrustmaster TH8A Add-On Gearbox Shifter for PC, PS3, PS4 and Xbox One adds realism and authenticity to your racing experience. It offers realistic gear-shifting feel with its detachable knob. 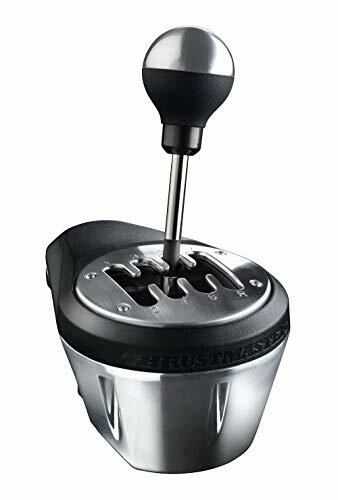 The gear stick is compatible with real universal (automotive) knobs available at car parts stores and big-box retailers, and the two included shift-plates offer your choice of "H"-pattern (7+1) and Sequential (+/-) shifting. The internal mechanism features 100% metal construction with a metal gear stick and clamping system. H.E.A.R.T. HallEffect AccuRate Technology offers precision that won't decrease over time (with its contactless magnetic sensor). There is no tact switch and no potentiometer to wear out (allowing for unlimited product lifespan). The firmware is upgradable, and the internal memory offers adjustable gear-shift travel to suit your driving style (software available for download on PC). There is adjustable resistance when shifting gears and the shift-plate position and rotation is adjustable by 360 degrees. The clamping system position and rotation is also adjustable by 360 degrees. The clamp is optimized for any support surface including tables or shelves from 1 to 55 mm in thickness (0.04 to 2.17 ). The built-in screw threads and removable clamping system allow for cockpit mounting. For PC use, the TH8A Add-On Gearbox Shifter works with all racing wheels on the market. With the PS3 and PS4, the gearbox works with the T500RS, Ferrari F1 Wheel Integral T500, T300RS, and T300 Ferrari GTE racing wheels. On Xbox One, it works with the TX Racing Wheel. Add excitement and realism to your racing experience with the Thrustmaster TH8A Add-On Gearbox Shifter for PC, PS3, PS4 and Xbox One. Set Includes: (3) Universal joints: 1/4, 3/8, 1/2 in. Use universal joints to access fasteners in hard-to-reach spaces (view larger). Built for use with impact tools, the TEKTON Impact Universal Joint Set allows you greater access to fasteners in hard-to-reach spaces. 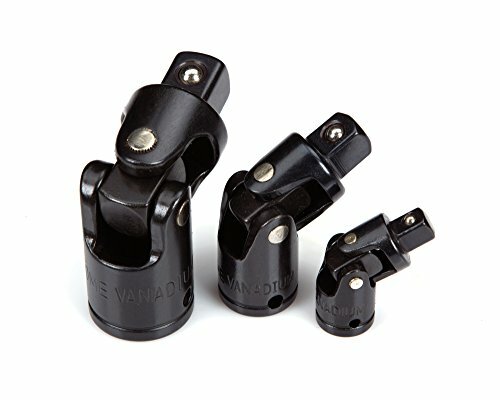 Impact Use Made from high-strength chrome vanadium steel, our impact socket accessories are more resistant to drive end round out than standard impact sockets accessories, resulting in a longer useable life. The universal joints lock onto the socket and drive tang to provide secure use. A differential/axle breather serves the important purpose on a 4WD vehicle of venting the air pressure in drivetrain assemblies such as the differential, transmission and transfer cases. Many drivetrain assemblies are fitted with a breather from the factory. These factory breathers are usually a one-way valve mounted directly to the housing or remotely on a short tube. 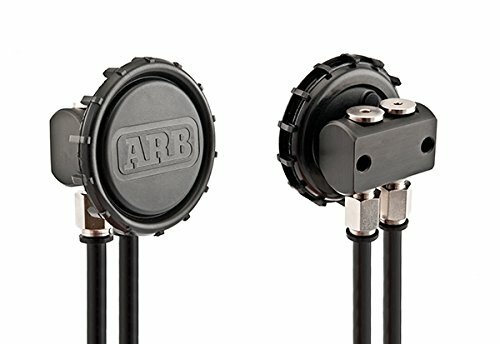 There are many short comings to this style and the ARB Differential Breather Kit is designed to eliminate these by providing a high flow, zero back pressure, zero vacuum breather system. 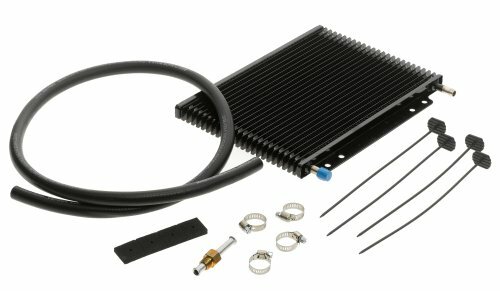 The kit is intended to replace your factory breathers and contains enough fittings and tubing to connect at least two drivetrain assemblies. 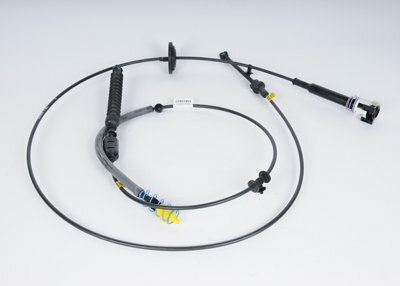 More tubing and push-in fittings can be purchased separately to connect up to four assemblies to the central manifold. 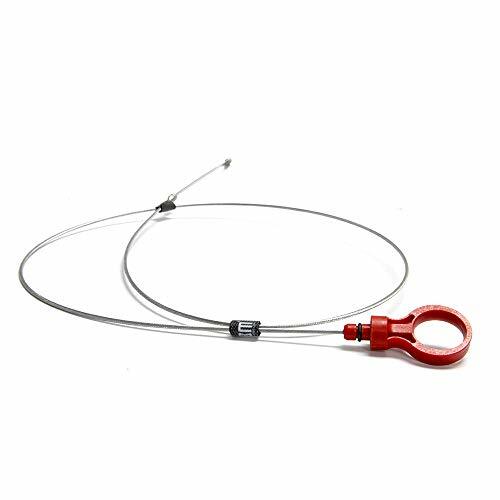 8mm Polyethylene tubing is flexible, oil resistant, water resistant and heat resistant.8mm tubing has been selected over the standard 6mm tubing to improve the air flow and reduced the chance of oil blockages in long breather lines. The 8mm push-in fittings make the installation simple and fast. Since our beginning, gear Wrench automotive specialty tools have been driven by innovation. From our first specialty tool, The model-t valve spring lifter, to our latest Ratcheting Puller, we ve built our reputation with tools that make tough jobs easy. guidelines. Made for everyday use guaranteed for life. Better tools mean easier, more efficient work so we constantly evaluate automotive Engineering trends allowing us to consistently improve and enhance our tools to better fit professional hands. That s why they are the first choice for thousands of automotive technicians worldwide. ACDelco DEXRON-VI Automatic Transmission Fluid is the most recent release in the well-established DEXRON series of automotive transmission fluids. It provides more consistent shift performance, even in extreme conditions, and degrades less over time. DEXRON-VI Automatic Transmission Fluid helps automatic transmissions last longer and perform better. DEXRON-VI Automatic Transmission Fluid is suitable for use in vehicles that specify the following requirements: fully licensed and approved by GM, recommended for use in GM transmission model years 2006 and newer calling for DEXRON-VI Automatic Transmission Fluid (replaces DEXRON-III and DEXRON-II(E), or recommended for any other vehicle manufacturer that calls for DEXRON-VI, III, or II(E). 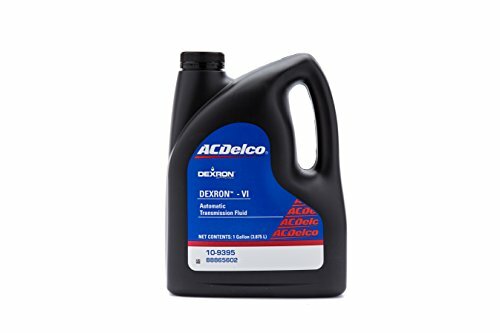 ACDelco DEXRON-VI Automatic Transmission Fluid is not for use in CVT (Continuously Variable Transmissions) or DCT (Dual Clutch Transmissions) which require specialized fluids. 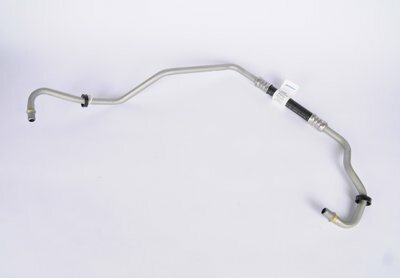 ACDelco GM Original Equipment Automatic Transmission Shifter Cable is a GM-recommended replacement component for one or more of the following vehicle systems: automatic transmission/transaxle, and/or manual drivetrain and axles. 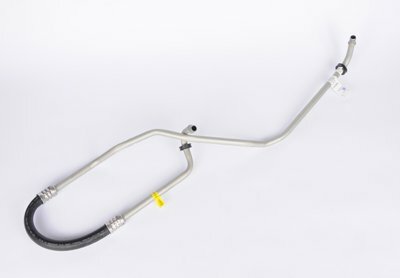 This original equipment cable will provide the same performance, durability, and service life you expect from General Motors. 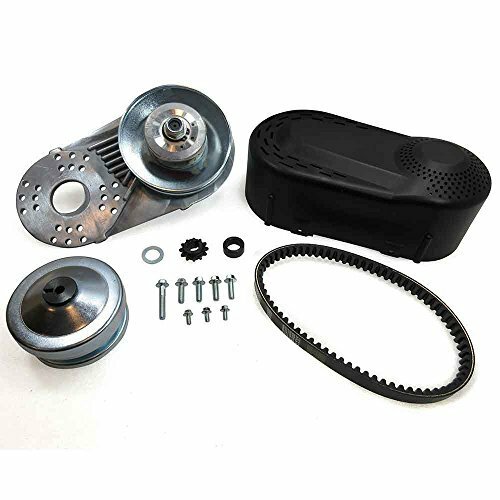 This 3/4" Torque Converter is a direct replacement kit for the most popular Comet TAV2 go-kart torque-converter 30 series. Go kart torque converters are CVT transmission systems for go karts, minibikes, small vehicles, jr, drafster, golf karts, odyssey, snowmobiles, ATVs, lawn equipment, industrial, winch and more. Torque converters and replacement parts are fully compatible with Come-t and TAV2 torque converters. Aluminum back plate 10T sprocket for 41/40 chain, Drive clutch bore: 3/4"(19mm). We do not authorize OMB Warehouse to sell our products, If you have any problems, please leave OMB Warehouse A2Z and FEEDBACK . A torque converter acts similar to a transmission, allows higher speeds out of your small engine, and smoother acceleration. 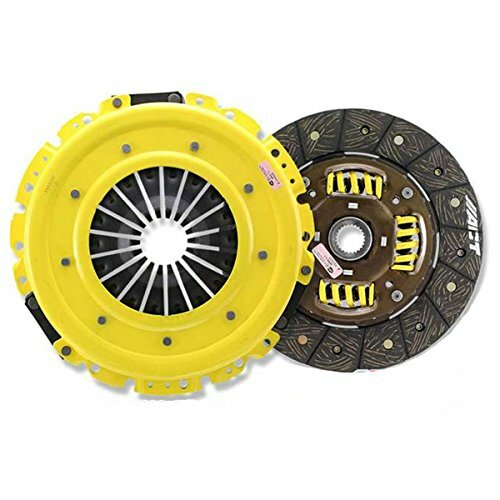 This clutch will help you get more power out of your small engine by reducing engine load. Warranty: Standard OEM aftermarket replacement clutch kits are guaranteed for a period of twelve(12) months or 20,000 miles,which ever comes first.All goods supplied by the company are warranted against faulty material and/or workmanship.Warranty does not apply if maltreatment,damage caused by collision or incorrect fitting exists.Warranty does not apply when the goods/products sold are fitted to a vehicle used for speed trails,racing,time trials,commercial and off roadvehicles unless specified for that use in the companies publications.Clutch kits and/or clutch components fitted to modified vehicle and/or clutch components that have been modified to Heavy Duty Specifications and/or any other specifications/non-original conversions:Clutch disc and/or clutch disc friction material that has been altered are not covered by any warranty issued by the company.Claims will be rejected where clutch kits and/or clutch components have been fitted to incorrect or unlisted applications.The flywheel must be machined/resurfaced before new clutch is fitted otherwise warranty will be void. *WARNING:Do not use Exedy/Daikin Standard OEM aftermarket clutch products in any situation where engine RPM's may exceed manufacturer's specifications.Pressure plate can explode unexpectedly causing serious injury or death to vehicle occupants and bystanders,Clutch cover and bell housing will not protect against exploding pressure plate.Refer to Application catalog for correct fitting. 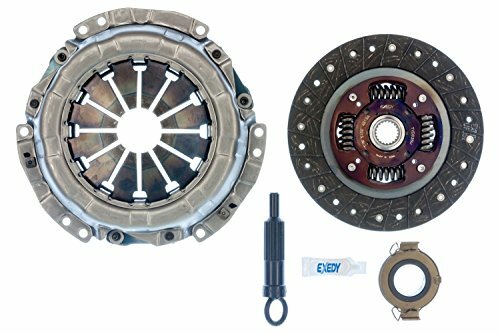 The ACT clutch kit includes an Xtreme pressure plate, Performance Street disc, release bearing, pilot bearing and alignment tool. The Xtreme pressure plate allows for a 50 to 120 percent increase in clamp load over the stock unit. ACT pressure plates use exclusive diaphragm design to increase clamp load, reduce deflection and maximize clutch life. All diaphragms endure an exclusive four-stage, heat-treating process for unparalleled performance. ACT pressure plates have precision cover stampings to provide rigidity and consistency and some are reinforced to reduce flex; improve efficiency and the feel of the pressure plate. ACT pressure plates are manufactured from new units not rebuilt from worn out parts and are 100 percent tested and computer balanced for smooth operation at high RPM. ACT's Xtreme pressure plates have a pedal feel that is moderate to stiff. Xtreme pressure plates are recommended for use with a street or race disc. Xtreme pressure plates meet SFI Specification 1.1 and are legal in all racing organizations that require SFI certification. ACT's Performance Street discs are available for most popular applications. These discs are modified with reduced marcel for faster shift action to complement ACT pressure plates. Performance Street discs have higher copper content friction lining for heat tolerance and steel-backed lining for greater burst strength and durability. Also, they feature top grade rivets to securely fasten the part together. The rivet design and rivet materials are carefully selected for maximum strength. ACT spring-centered assemblies use bushings and cone springs similar to factory clutch discs. This creates frictional dampening which improves clutch life and reduces noise. All Performance Street discs are certified as meeting SFI Specification 1.1 and are legal in all racing organizations that require SFI certification. The kit is completed with a release bearing, pilot bearing and alignment tool. 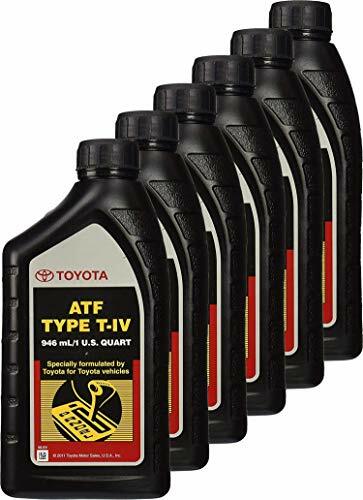 Toyota genuine Lexus 00279-000t4 t-4 (t-iv) automatic transmission fluid - ready to install - (6 pack). The package included 1x transmission conductor plate, 1x transmission connector, 1x filter and gasket adapter. INSTRUCTIONS INCLUDED - so you can accurately mantain and monitor fluid level without going to the Dealership.